These Old World images of Paris in the 1700s remind me of woodblock prints. Very simply and yet full of antique "grunge" ambiance, especially the mottled sepia background. 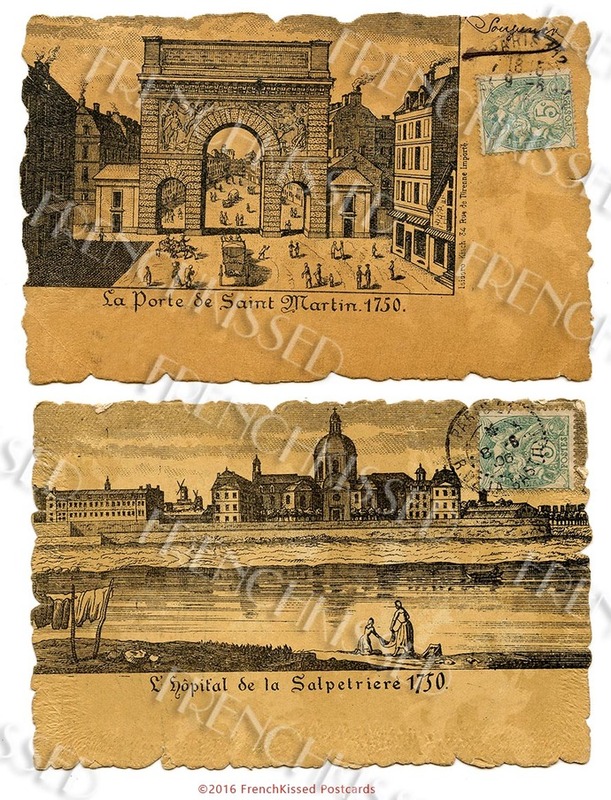 I love how the sender wrote "souvenir" above the stamp on the Porte of St Martin scene. Two scans in one digital download, about 5.5 by 8 inches.